Henry Horton State Park is located alongside the Duck River in Chapel Hill, Tennessee. It has several miles of hiking trails that take you on a scenic hike along the Duck River, a scenic creek, wetland, and other scenic areas. The trail head is located at the Wilhoite Mills area. To access the trail head: The trail head is at the Wilhoite Mill area on the north side of the bridge that crosses the Duck River. You can start your hike at the Wilhoite Mill parking area on the north side of the Duck River bridge. From there I suggest taking the Wilhoite Mill trail, starting the loop clockwise. This will take you near the scenic spring creek. You will then connect to the River trail. From there you will hike alongside the Duck River for a few miles. You can then take the wetland trail which has an observation deck and pavilion to view the wetland area. You then make your way over to the Hickory Ridge loop. There is an outer loop and inner loop. For my hike I did the outer loop and then hiked back to the River trail. I think in all I hiked about five or six miles. It was a relatively easy five or six miles and really enjoyable. 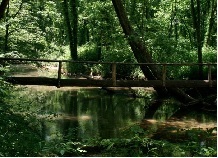 You will see the scenic Spring creek, Duck River, and scenic forests and wetland areas. The trails are really well maintained. The park has locations for RV camping and tent camping in the main camping area, and then another location for back country camping. The park also has a golf course, lodge, and restaurant.